Cartoon supervillain Martin Shkreli is currently staring down the barrel of a seven-year prison sentence, but that hasn't stopped him from maintaining a central role in the rap world. 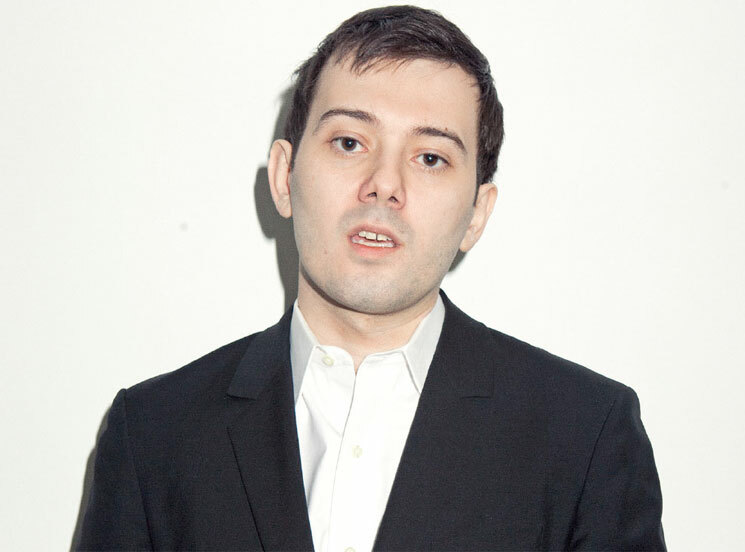 Now, the cackling pharma price gouger claims he has juice from the Pusha-T/Drake feud. Despite Pusha's claim that "It's all over with," Shkreli says his office received a USB stick that includes Drake's alleged response to "The Story of Adidon." I'm pleased to hear Lil Wayne's Carter V will be released soon and his litigation has been settled. It is a great addition to his already impressive corpus. Additionally, I am pleased to report my offices have received an unmarked USB disk containing what appears to be unpublished and newly created tracks by Drake, referencing recent events with respect to Pusha-T and Kanye West. There are 10 tracks and some appear to be demo tracks by an unnamed artist to inspire a forthcoming, fully-produced "disrespect" musical piece. I would normally share a snippet as I have in the past but my present situation negates this possibility. Whether or not Shkreli is telling the truth is impossible to determine, though he's obviously got his hands on some hot hip-hop commodities in the past. Upon his arrest, he was required to forfeit his exclusive copies of Wu-Tang Clan's Once Upon a Time in Shaolin album and Lil Wayne's Tha Carter V.
Perhaps Shkreli's involvement is really just a sign that it's time for all of us to stop worrying about the Drake and Pusha beef and focus our energy elsewhere. Drake's catalogue is available on vinyl through Umusic, including his albums Take Care, What a Time to Be Alive, If You're Reading This It's Too Late and Views.